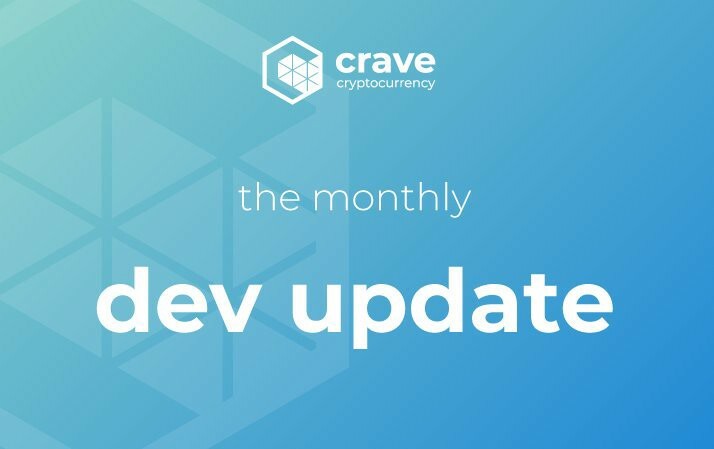 Welcome to the third monthly development update from the Crave team! If you would like to check out previous monthly updates, follow one of these links: June | May. Our tipping bot is now running on our Crave Community Discord server! This allows any user to deposit and withdraw funds, send to a specific user, or rain down funds to split among everyone. Send Crave tips to someone who posted a comment you agree with, a member who is going beyond the call of duty, or for no reason at all! We are hoping to use this to show off extremely fast transactions, increase user activity, and provide a fair way for anyone to earn Crave no matter how much they own. As of today, Crave is available on the GIN masternode hosting platform. From their website, “the GIN Platform is a web application that allows you to create cold wallet masternodes for GINcoin and other masternode coins, without having to deal with servers, terminals or Linux. This lowers the entry barrier to the masternodes market for non-technical people.” More information regarding their platform can be found here. Many of our community members have asked for this, so we are excited to finally have made it happen! There is currently a tournament going on hosted by Omni Analytics Group and The Crypto Hobbit called #MasternodeMeBro18, which is composed of multiple rounds and puts categorized masternode projects head-to-head in a community voting competition. A voting tutorial video was put together by our marketing team to help spread the word on this process. 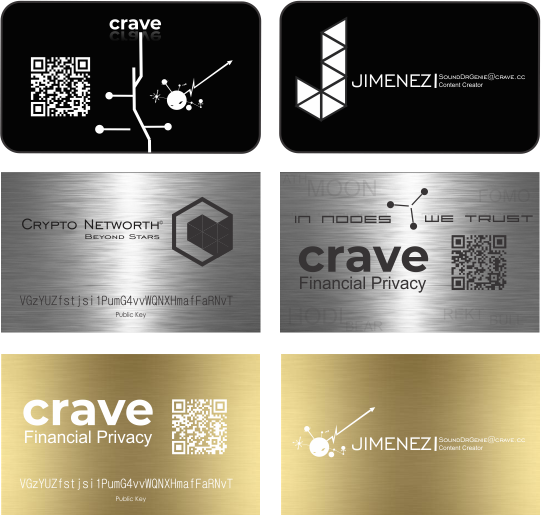 Banners are being created and spread, and we also have a raffle going on to win our own custom, stainless steel, laser-engraved cold storage cards (seen some examples below) for Crave for those who participate, so please join our Discord and send us a message. Text is fully customizable, and they can additionally be bought if you would like some of your own. We are glad to announce that everything is working perfectly regarding our governance model. On July 8th, our second superblock occurred and funds were automatically distributed to the three accepted proposals between blocks 259200–259202. The two large funds are being held in Multisignature addresses, which means that in order for any coins to be released, the transaction needs to be signed by two of three selected Crave team members. A total of 15000+5000+300=20300 Crave were distributed to the owners of the associated proposals. With a maximum superblock award of 43200 Crave, this means that 47% of the possible budget was used. To clear any confusion, we have a constant block reward of 10 Crave, not 11. The reason we say 11 is to account for the theoretical 100 % use of the budget. So for this past superblock period, it is as if we had an equivalent block reward of 10.47 Crave. The next period could have an equivalent block reward of 10.25 Crave or 10.99 Crave — it depends on the proposals that are passed. Two months ago, our first superblock occurred to distribute funds to multiple accepted proposals. Within the period of 4320 blocks before the superblock, all accepted proposals are supposed to become finalized, which is necessary for the second finalization fee to be paid and for fund allocation. However, this never happened for the first set of proposals, and therefore it is as if the superblock never happened. No funds were created and none were sent to the accepted proposal addresses. Since then, we located the problem as to why this happened and fixed it (verified by this most recent superblock). The fix was somewhat hidden and something that there isn’t much documentation on — sort of a ‘secret’ among the system that required some deeper research into the code. We were testing to see if we could force the finalization of those first proposals in order to create and release the funds, but that does not seem to be possible. Therefore, over the next superblocks, the same proposals are going to be submitted for voting and funding again. This will allow new proposals to be submitted alongside these older ones. Since all of those proposals were submitted by team members, it’s not too big of a deal — only a slight inconvenience. If the proposal called for a payment, we will still pay it now and use the proposal as a means to be paid back at a later point in time. This means that there shouldn’t be any delay in the proposals due to that first misfiring superblock. Please feel free to submit a proposal if you have any ideas that you would like to contribute! Our Crave Forum (https://forum.crave.cc/) where you can have discussions regarding proposals and find further information. The Crave marketing team is piloting several projects in order to propel higher activity in Crave. They have setup a third-party website that provides general news, and includes press releases at no cost to Crave for additional advertising. In addition, a Crave faucet with question form is now in operation that dispenses Crave after the entrant answers various questions demonstrating knowledge of Crave. Additional pilot programs that further Crave transactions are scheduled for the upcoming months. We’ve also been putting together Twitter lists of Crave members to help focus efforts from the community when needed. Over time, this should be expanded to other areas as well, such as expanding and adding content to our subreddit and spreading awareness through social media. Holding a trivia night once per week on Discord has been mentioned a few times among our community, and something we are strongly considering putting together. This would be a nice and fun feature to gather members, learn something new about Crave, and make use of our new tip-bot to spread funds. Please let us know if this is something you would be interested in participating in! Our Spanish white paper translation is completed, with text formatting the only step left, so this should be done very shortly. We are also hoping to soon begin website translations into multiple common languages. Crave’s Masternode Tracking App for Android is done. We now just need to go through some rounds of final bug testing and checking before release. Along with our previous partnership with Whopper Crypto, they also are offering Coldfolio — a premier cold storage/portfolio management app with auto-balance tracking. All of your Crave addresses can be managed in one app, where you can share and track your addresses on the go, along with a wide variety of other features. The most complicated parts of the new HTML wallet are done, and we now need to add a few more sections, settings, and connect it to the backend code. We are working on a philanthropy based project which utilizes Crave as its platform. As this is an off-the-roadmap side project, details will be left vague until closer to its launch, since there is the possibility that many roadblocks may occur (and already have) that we are working with and around. We have been in talks with a payment processor for quite a while now, and while chats have been positive, response times have been lacking and difficult to communicate with. Since initial exclusivity was part of the beginning conversation, we will start to look elsewhere if this does not turn out. As stated in previous updates, the Crave addition to Stakebox is just awaiting testing from their end, so this will be ready whenever they get the time. Thanks for reading, and the next development update will be released on August 31st, 2018!